Spend a week this summer training for a biotech career. Join a week-long, hands-on course to help you transition to a job in biotechnology or the pharmaceutical industry, offered by the American Society for Cell Biology (ASCB). Two courses will be offered: June 2-8 in Lowell, MA, co-hosted by the University of Massachusetts Lowell, the Manning School of Business; and July 7-13 in Claremont, CA, co-hosted with the Keck Graduate Institute. 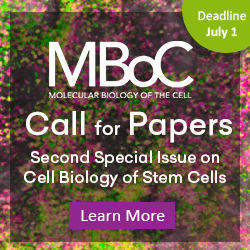 Both courses are supported by Biogen, and partial scholarships ranging from $200 -$400 are available. Registration closes April 15 so act now! To register, click here. On average, more than 50% of past attendees have landed jobs in industry, regulatory affairs or tech transfer. 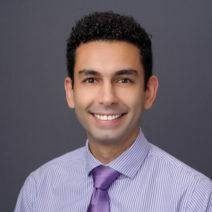 One alumnus, Misagh Naderi, now works as a technology commercialization officer for Louisiana State University. Here’s a quick Q& A about his experience. Before you attended the biotech course, what was your career trajectory? Striving to get the Nobel Prize, of course! But, along the same lines, a research-heavy career was what I was going for. My motto was “do good quality scientific research and publish in high-impact journals.” The logical next step would have been a postdoc or an early career research scientist position in academia or industry, which I didn’t pursue. What was it about the course itself that you found useful in making your career transition? In my experience, the program was a crash course in functional teamwork with highly intellectual individuals. For me, it was also a perfect workshop for practicing communication and leadership soft skills. In general, the program exposed us to other science career paths and gave us a taste of entrepreneurship, business development, consulting, and management, as it was advertised. An invaluable hidden benefit of this program for me was to have dialogues around impostor syndrome with other academicians. You know, working in isolation of our labs and comparing our discoveries only to the most cited publications sometimes drives us to think that we are not enough or incapable of doing great things. Getting to know the smart and driven scientists at the course and discussing our goals and fears helped me work through some of the psychological pressures of the academic world as well as the fear of transitioning out of my comfort zone. Two years after, I am still connected to the network we built during the course, which is a priceless outcome for me. How would you describe your experience with the instructors/presenters? They were knowledgeable, enthusiastic, and very supportive. They were really good at encouraging discussions and participation and created an environment of collaboration. Unfortunately, I didn’t keep in contact with the instructors, which I should have looking back. But, I continued to be involved as an ASCB ambassador, spreading the values of ASCB in my circle of influence. What are some questions that someone with a Ph.D. might want to ask of themselves before transitioning to a biotech-oriented career? There are certain questions that I asked myself when I was considering the transition out of academia to create a roadmap for my professional career. What are the most developed skills in me? Which sector can benefit from the skills that I have cultivated so far? medical devices, small molecules, policies, and regulations, etc.? In what positions within that sector can I add the most value? R&D, management, communication, etc.? What does the ideal professional future look like for me? What holds me back from achieving that ideal life? For that ideal professional future, what skills do I need to develop? Who can be a good mentor for me (including books and podcasts)? What’s the conventional professional route? What are the alternative routes that can generate similar outcome? Who can I add value to while I am going through the process of developing those skills? I actually still ask myself these questions to have a clear vision of my future and not to lose track when things get too comfortable. I now lead one-on-one mentorship and group discussions on these topics to help individuals like myself to make informative and smooth transitions in their academic careers. I am always open to help students and PhDs who reach out to me on LinkedIn or other social media platforms. Is there anything else that you think people ought to know about ASCB’s biotech course? 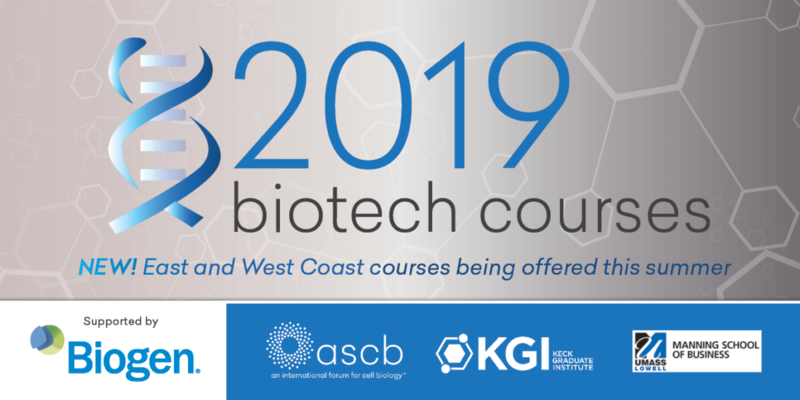 The ASCB’s biotech course is a great environment to get exposed to other science career choices, but more importantly, a place to meet and bond with fellow scientists in a week-long, laidback, and friendly environment. You get to spend many hours per day sharing not only ideas and course-related materials but also your goals and your worries. Be prepared to let your ego down and be open to working together. Look for opportunities to learn and to add value to the team without the need to be individually recognized.